In Luxembourg, the labour court is responsible for resolving employment law disputes and has exclusive competence for all employment law disputes, regardless of the amount at stake. The labour court has jurisdiction for all complementary pension scheme disputes and disputes in relation to an apprenticeship agreement, among others. There are three labour courts in Luxembourg; one in Diekirch (in the north of the country), one in Luxembourg City (the capital) and one in Esch-sur-Alzette (in the south). Each court covers all towns and cities within to its jurisdiction. To determine which court is competent to rule on a case, one has to verify the jurisdiction in which the employee performed his or her employment contract. If the employee has performed work all over the territory of Luxembourg, the court of Luxembourg City will have jurisdiction. The parties do not need to be represented by a lawyer before the labour court. They may either defend themselves or be represented by a lawyer, their partner, a relative in the direct or collateral line up to the third degree, or a person from his or her company, as the case may be. If a party is represented by a person other than a lawyer, the representative will need a special mandate to represent one of the parties before the court. Generally, a labour court is composed of one professional judge and two non-professional assessors. Litigation with respect to a dismissal is generally submitted to a labour court. Luxembourg procedural rules provide for certain specific cases in which a labour court's decisions are made by a single judge. This is the case, for instance, concerning requests for reintegration of employees if a dismissal has been considered null and void (e.g., in cases of dismissal during a declared pregnancy, redundancy prior to the signing of a social plan or dismissal of a staff delegate), or in the case of a request for unemployment benefits following a dismissal with immediate effect or (since 2018) a resignation with immediate effect. Proceedings before the labour court are oral, meaning that, in principle and except for the document introducing proceedings and the documentary proof, no written documents are submitted to the court and all arguments must be developed orally. Hence, the court will take into consideration and base its decision solely on what has been orally discussed between the parties during the pleadings. If a party is not satisfied with a decision of the labour court, it may lodge an appeal up to 40 days after the notification of the judgment. Even though the Luxembourg territory has three different labour courts, it only has one court of appeal, which deals with any challenged judgment of the labour courts. 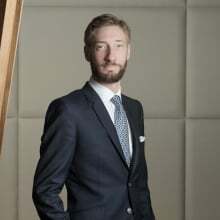 The challenging party needs to introduce its appeal against the labour court's decision before the Luxembourg Court of Appeal, which includes two chambers that are exclusively competent to deal with labour law-related disputes. Unlike the conduct of proceedings before the labour courts, proceedings before the Court of Appeal are made in writing and require the parties to be represented by attorneys-at-law to defend their respective interests. In written proceedings, the legal arguments are expressed through written submissions called 'conclusions', which are notified by the concluding lawyer to his or her constituted opponent. Through these conclusions, the parties alternatively take a position on the arguments and merits developed by their opponents. As proceedings before the labour courts, and especially before the Court of Appeal, may prove to be cumbersome and may take several months, it is common practice in Luxembourg to solve disputes extrajudicially by way of a settlement agreement. Finally, it should be noted that although Luxembourg employment law may be considered business-friendly, some of the Labour Code provisions are set out in a framework that is more favourable to employees than employers, given that employees are considered to be the 'weaker party' in the employment relationship, because of their subordination to the employer within the performance of their employment contract. Consequently, if there is any doubt, labour courts tend to rule in favour of employees. As a general rule, no government bodies or quasi-government bodies assist in resolving employment disputes. In this respect, it should merely be noted that employees dismissed with notice are entitled to employment benefits if they are resident in Luxembourg and fulfil the applicable conditions. Employees residing in Luxembourg who are dismissed with immediate effect may file a request for unemployment benefits. In such cases, Luxembourg's Employment Development Agency (ADEM) must also be present, or represented, during the court proceedings, as one of its objectives is to pay unemployment benefits to the employee. If the termination is declared wrongful by the court, the employer will have to reimburse the ADEM with any unemployment benefits the employee received during the proceedings. Individual disputes are conducted separately between an employer and an employee. Even if several employees have the same conflict with their employer, each employee will take legal action individually by bringing his or her own action. There is no collective action (i.e., class action) under Luxembourg law. Each procedure will thus be treated as a separate, individual case. Before bringing an action before the labour court, employers and employees can try to reach an agreement, either by negotiating on their own or through public authorities in certain specific cases. There are four public authorities that intervene in employment cases: (1) the labour courts (even though it is rare for a dispute brought before the court to result in conciliation, it should be noted that the judges have the preliminary task of reconciling the parties); (2) the Individual Conciliation Body, which was created in 2007 and can be consulted by mutual agreement between the parties to the dispute before legal proceedings are initiated to reach a settlement, although at present this body is not yet operational; (3) the Litigation Commission, whose role is to try to attempt mediation at the pre-claim stage in the area of apprenticeships; and (4) the Labour Inspectorate, whose role at the pre-claim stage is to intervene informally by hearing the parties' explanations and attempting to find an extrajudicial solution. In practice, the most common way to end litigation in an extrajudicial manner is to settle. In labour law, the settlement is a contract concluded by and between the employer and the employee to end any dispute (mostly in connection with the termination of an employment relationship), agreeing to make mutual concessions and covenants. Once the parties have reached a settlement, they can no longer bring an action before the labour court to resolve the questions raised in the settlement. Furthermore, the settlement agreement is strictly construed and relates only to the points it explicitly addresses. The parties can only take legal action to compel the other party to comply with the terms of the settlement agreement. When individual disputes cannot be resolved before litigation, employers and employees must bring their actions before the labour court. In addition to the employer and employee, other parties may be involved. This is the case when, at the end of the procedure, the employer or employee is likely to have to reimburse unemployment benefits. In this case, the Luxembourg state intervenes and becomes a party to the dispute. Trade unions may also intervene if they are signatories to a collective bargaining agreement applicable to the employee who initiated the dispute and if the outcome of the case may be of collective interest to the members of the trade union. Proceedings are initiated by the employer or employee (usually through a lawyer) by simple request to be filed with the court clerk's office in as many copies as there are parties. It is not necessary, as in other proceedings, to notify the opposing party by bailiff of the filing of such a request. The court clerk's office will then contact the opposing party. The parties will subsequently be summoned to a first hearing, at which the hearing date will be set for oral pleadings. Cases are rarely pleaded at the first hearing. There is also a rapid procedure, known as summary proceedings, which must be introduced before the president of the labour court (this mostly applies in cases of unpaid wages). This procedure is generally aimed at allocating a provision on a determined amount. The president of the labour court grants such a provision only in the absence of serious contestation (otherwise the president must automatically declare that he or she lacks competence and the case will be subject to the proceedings on the merits in accordance with the standard procedure). Other specific procedures, subject to special rules, also exist, in particular an action for nullity of a dismissal for certain specific employees (e.g., pregnant employees, employees benefiting from professional reclassification and staff representatives) or action for interim maintenance of remuneration for protected employees who have been suspended. Actions for payment of remunerations are barred after three years from the date on which the payment is due. There are specific evidentiary requirements with regard to dismissals. The employee must prove that a valid employment relationship existed, that a dismissal has taken place (this is a challenging question specifically in the case of oral dismissal). The employee must also establish the damage caused by the dismissal and demonstrate that active steps have been undertaken to find a new job. The employer must prove that the reasons for the dismissal are precise, serious and real. Collective actions are of two kinds: the promotion of rights (aiming to ensure that the employer complies with positive law) and the struggle for rights (aiming to improve an existing situation). Collective actions do not fall within the jurisdiction of the labour courts but lead to a conciliation procedure before the National Conciliation Office (ONC). When conciliation fails, it remains possible for employees to go on strike (although strikes are rare in Luxembourg). According to case law, a strike is lawful if it takes place once all possible conciliation means of settling conflicts have been exhausted and provided that a report of non-conciliation has been duly established. There are three categories of collective disputes, subject to three different conciliation procedures: (1) disputes relating to working conditions; (2) disputes relating to collective bargaining agreements, in particular when the employer refuses to enter into negotiations or when negotiations do not result in a concrete result; and (3) disputes relating to collective dismissal, when the parties cannot reach an agreement on a social plan within the legally set conditions. The ONC has jurisdiction to resolve collective disputes concerning working conditions (i.e., genuinely collective disputes concerning the collective interests of all, or most of, the company's staff), and disputes arising from problems of organisation, reorganisation or restructuring of the company that have an impact on the working conditions of all, or most of, the company's staff. The ONC is composed of a president (the Minister of Labour), a joint committee composed of eight assessors (four employee representatives and four employer representatives) and an administrative service. The joint committee is assisted by delegates who are directly involved in the matter and who represent the employer or the employee of the company concerned respectively. This should allow the assessors to decide in full knowledge of the facts. The employer or the representatives of the employees concerned in the dispute must refer to the ONC by submitting a written request stating the reasons for the referral and including any relevant documentation. The request must be accompanied by a file specifying the subject matter of the dispute and its context. The president of the ONC may request additional documents and forward the file to the members of the joint committee so that it can decide whether the file is complete and can be submitted for conciliation. The joint committee investigates the case and then meets in camera for the first time no later than two weeks after the date on which the dispute was referred to the ONC. The two groups of assessors may jointly formulate a conciliation proposal. The relevant vote shall be taken by a group with a majority of the votes cast. If this proposal is rejected by at least one of the parties, the president may submit a proposal on his or her own initiative. The rejection of this proposal by at least one of the parties shall be deemed to constitute a declaration of non-conciliation. In such a case, the parties may decide to start a strike. In that respect, it should be noted that an employee's participation in a lawful strike does not constitute valid grounds for dismissal. During the term of a collective agreement, the parties are obliged to refrain from strikes and lockouts. Collective disputes regarding employment matters that are not subject to a collective agreement, or regarding the failure of the parties to reach a collective agreement (including cases in which an employer refuses to engage in collective bargaining when properly requested to do so), must be referred to the ONC before any party to the dispute can take industrial action. During the ONC conciliation process, the parties to the dispute must not hold a strike or lockout. In disputes relating to collective bargaining, a first conciliation meeting must generally be held by the first day of the sixth week after the date on which the dispute was referred to the ONC. During the conciliation process, the ONC will seek to broker an agreement between the parties to the dispute. Conciliation ends when a collective agreement is reached, or it is agreed unanimously that conciliation has failed. If no settlement has been reached 16 weeks after the first conciliation meeting, any party to the dispute may declare the conciliation to have failed. When conciliation fails, the ONC draws up a statement of the points still in dispute. When conciliation fails, any party to the dispute may commence industrial action. If conciliation fails, either party to the dispute may, in the following two weeks, ask the government to nominate an arbitrator (even while industrial action is under way). The government will then propose an arbitrator to the parties within two weeks of the request. The parties then have two weeks to accept or reject the arbitrator. If both parties accept, the arbitrator will make an arbitration award, which is binding on the parties and has the effect of a collective agreement. Collective redundancies are defined as dismissals made by the employer, for reasons not inherent in the employees concerned, affecting at least seven employees over a period of 30 days or at least 15 employees over a period of 90 days. Before initiating collective redundancies, an employer must hold negotiations with employee representatives with a view to reaching agreement on a 'social plan'. The negotiations must deal with means of avoiding the redundancies or reducing their number and of mitigating the consequences by recourse to accompanying social measures aimed, notably, at helping to redeploy or retrain redundant employees and to return them to the labour market immediately. For the purposes of the negotiations for a social plan, the employee representatives are the employee delegation (an employee representative body that must be set up in all establishments employing 15 or more employees), the joint company committee, if one exists (enterprises with 150 or more employees are obliged to set up such a committee) and, in certain circumstances, trade unions. If, after 15 days have passed since the negotiations started, no agreement on a social plan has been reached, the parties must draw up a document setting out their respective positions on the various issues negotiated and submit it to the public labour authorities. Then, within three days, the parties must jointly refer the matter to the ONC. Within two days of being notified, the ONC will invite representatives of the parties to a meeting, which must take place within three days of the invitation. The conciliation process, aimed at brokering agreement on a social plan, lasts a maximum of 15 days from the first meeting. The employer may not notify employees affected by the planned collective redundancies of dismissal before a social plan is agreed or, where agreement is not possible, before the end of the conciliation process involving the ONC. Any notice of redundancy issued before the agreement is signed, or the process ends, is null and void, and any employee dismissed in these circumstances can obtain a court order to this effect under an expedited procedure. When an employer notifies an employee of dismissal as part of a collective redundancy, the minimum period before the dismissal may take effect is generally 75 days – the public authorities may extend this to 90 days in some circumstances. If employees are entitled to a longer notice period by law, or as a result of their employment contract or an applicable collective agreement, this longer notice applies. At the latest, at the time when it begins negotiations with employee representatives for a social plan, an employer contemplating collective redundancies must notify ADEM in writing, providing the same information that it is required to be given to the employee representatives (see above). The employer must give a copy of this notification to the employee representatives, who may make any observations they have about the planned redundancies to ADEM. Furthermore, employers with 15 or more employees are obliged to report all redundancies to the national tripartite Economic Committee. If an employer reports more than five redundancies over a period of three months, or eight redundancies over a period of six months, or if the Committee foresees financial or economic difficulties at the company, the Committee can ask the employer and employee representatives to negotiate a job protection plan aimed at preventing further job losses. For the purposes of the negotiations, the appropriate employee representatives may be employee delegations, the joint company committee or trade unions. An employer or employee representatives may also take the initiative to negotiate a job protection plan, if they envisage financial or economic problems that may have a negative effect on employment. The negotiations for a job protection plan must cover broadly the same issues as those that take place for a social plan to accompany collective redundancies (see above), plus several additional topics, such as special measures for older employees. There is no obligation or deadline to reach an agreement on a job protection plan. If the negotiations lead to an agreement, that agreement must be sent to the Economic Committee, which will pass it on to the public authorities for approval. If a job protection plan is approved, the employer benefits from certain advantages, such as training subsidies and partial reimbursement of early retirement costs. Further, employers that are covered by an approved job protection plan are not required to negotiate a social plan if they proceed with collective redundancies in the six months following the approval of the job protection plan. Most of the court proceedings in Luxembourg handle unfair dismissal matters. According to labour law provisions, an employee who is dismissed with notice may request within one month of the notification of the dismissal to be provided with the reasons for the dismissal (Article L124-5 of the Labour Code). Within one month of receipt of the request, the employer must provide the employee with the reasons for the dismissal, which must be precise, serious and real. Upon receipt of those reasons, the dismissed employee has three months to challenge the dismissal before the court or to formally challenge the dismissal. If the employee formally challenges the dismissal, he or she will have one year from lodging a formal complaint to challenge the dismissal in court. If the employee files a claim before a given court, the court will analyse whether the reasons for the dismissal are sufficiently precise, serious and real. If the court does not consider the reasons to be sufficiently precise, serious or real, it will declare the dismissal wrongful, thereby entitling the employee to damages. In the event of unfair dismissal, the amount of the damages awarded by a court depends on the actual prejudice suffered by the employee as a result of the termination of his or her employment. A distinction needs to be made between material prejudice and moral prejudice. The period between the date of termination and the date on which the employee has either found new employment or should have found new employment constitutes the reference period, which the labour court will set in the event that it declares the dismissal to be wrongful. If the employee has not been able to find new employment, the duration of the reference period is determined by the courts based on different criteria, such as the duration of the notice period (if the employee has been exempted from work during the notice period, the notice period will be set off against the reference period), the employee's seniority, age, expertise, ability to find new employment and the situation on the employment market. Throughout the reference period, the employee is entitled to damages for an amount equal to the compensation that the employee would have earned if he or she had not been dismissed. Unemployment benefits or income derived from a professional activity conducted by the employee during the reference period must be set off against the amount of damages. If the dismissed employee is living in Luxembourg, he or she will be entitled to unemployment benefits that will be paid by the Luxembourg state. If the termination is declared unfair, the employer will be ordered to reimburse to the Luxembourg state the amount of unemployment benefits awarded to the employee during the reference period. In addition to material damages, the employee may be awarded damages to compensate for the moral prejudice suffered. In this respect, the circumstances surrounding the termination and the inconvenience caused to the employee (for example, in light of the employee's seniority, age or ability to find new employment) because of the termination of the employment constitute the key criteria. This assessment will be made by the courts on a discretionary and case-by-case basis. There has been a noticeable increase in claims before the labour courts relating to moral harassment in the workplace. Dismissed employees frequently make these claims together with a request for financial compensation for unfair dismissal. Although the Labour Code provides a framework for sexual harassment claims, despite the increase in moral harassment (or mobbing) claims before the courts, there is no legal framework as yet under Luxembourg law. Only one collective agreement has been concluded with the Luxembourg trade unions with respect to harassment and violence in the workplace. Consequently, decisions on moral harassment are made on the basis of this convention and on the basis of Article 1134 of the Luxembourg Civil Code, according to which contracts must be executed in good faith. It is very likely that because of the increase in harassment cases and the very few provisions that exist in this respect, the Luxembourg legislator will update existing laws and regulations on this matter. Employment contracts are normally drawn up for an unlimited period, meaning that fixed-term employment contracts should be the exception. In this respect, the Luxembourg labour law provisions further foresee, among other things, that the reasons for recourse to a fixed-term employment contract must be precisely indicated in that contract. Moreover, the maximum duration of the employment contract shall be 24 months. As these conditions are very often not respected, employees frequently request before the courts a recharacterisation of their fixed-term employment contract as an open-ended employment contract. Luxembourg labour law is in constant development in order to adapt itself to the changing circumstances of the social environment. In the past two years, several important legal developments have occurred, with the aim, among others things, of providing employees with a better work–life balance and to improve the quality of life in general. Accordingly, these legal changes have resulted in several important court decisions, changing previous rulings and hence amending the general understanding of certain matters and aspects of Luxembourg labour law. The Law of 23 July 2015 on the reform of social dialogue, which significantly modified staff representation within companies, is being implemented in two stages: certain provisions entered into force on 1 January 2016 and the remainder take effect after the social elections, currently scheduled for 12 March 2019. To avoid a clash with the parliamentary elections that were held in October 2018, the Law of 7 May 2018 amending the Labour Code and the amended Law of 4 April 1924 establishing professional chambers on an elective basis, effective as of 18 May 2018, put the social elections back to 12 March 2019. Members of employee delegations, safety delegates and equality delegates benefit from special protection from dismissal during their term of office and for six months afterwards. One of the main innovations of this reform is that a staff delegate who is dismissed despite the protection provided for by law, will be granted an option that did not exist under the former statutory provisions: he or she can either request cancellation of the dismissal and his or her reinstatement, or damages for unfair dismissal. The former legislation provided for a specific procedure for suspending a staff delegate from work and for requesting the labour court to terminate the employment contract in cases of serious misconduct. The social dialogue reform adapted a procedure whereby the employer is obliged to inform the concerned employee in precise terms about his or her relevant misconduct, and the circumstances that make this misconduct a serious ground for termination. The staff delegate, even though suspended, will continue to be paid during the first three months of the suspension, after which he or she will have to request the continued payment of his or her remuneration from the president of the labour court until the final decision regarding the termination of the employment contract. Further to the social dialogue reform, staff delegates now benefit, inter alia, from increased paid leave to fulfil their duties as staff delegates, in companies with at least 150 employees, and from increased opportunities to seek the assistance of external counsellors and experts (henceforth in companies of 51 employees or more). Regarding the forthcoming effects of this reform, joint company committees will cease to exist after the next social elections (currently scheduled for 12 March 2019) and their tasks and duties will be transferred to the staff delegates (in companies with at least 150 staff) during the 12 months preceding the first day of the election announcement. The staff delegates will have new functions and their powers will be extended. The central and young-employee delegates will also cease to exist after the social elections. The law of 30 November 20172 provides that as from 1 July 2018, only three early retirement schemes are applicable. As from that date, the remaining schemes provided for by law are (1) the early retirement adjustment scheme, (2) the early retirement of shift workers and night workers scheme, and (3) the phased retirement scheme. To benefit from one of these schemes, a minimum of five years' employment with the applicant company is required, in principle. Furthermore, the period of compensation for early retirement has been limited to three years, bearing in mind that it will end in any event at the age of 63 years. Regarding the early retirement allowance, this will be calculated over the last 12 months of employment. The Law of 15 December 2017,3 which came into force on 1 January 2018, amended the provisions of leave for personal reasons. Previously employees were entitled to two days of family carer leave per year and per sick child under the age of 15, without being able to accumulate leave days over several years. five days per child aged between 13 and 18 (not yet attained). It is now possible to split and carry forward leave under each category to the following year. With regard to maternity leave, the Law of 15 December 2017 amended the Labour Code by increasing postnatal leave, hence granting 12 weeks leave to every woman who gives birth, instead of only eight weeks as previously foreseen by the legal provisions. one working day in the event of the employee's civil partnership ceremony (reduced from six working days). Although the 2017 Plan granted employees two working days in the event of their child's civil partnership declaration, the 2018 Plan removed this provision. The Law of 28 July 2018 on social inclusion income (the 2018 Law) entered into force on 1 January 2019. The social inclusion income (also called Revis) replaces the previous guaranteed minimum income. The 2018 Law sets out the conditions for benefiting from Revis and notably foresees, as a preliminary condition, that the applicant must be registered as a job seeker with ADEM. As of 1 January 2019, the National Solidarity Fund is solely in charge of examining, granting and managing claims and pay revisions. On 24 October 2018, Bill No. 7381 modifying Article L222-9 of the Labour Code (hereinafter referred to as the Bill) was submitted to the Chamber of Deputies. With effect from 1 January 2019, the minimum social wage has been by 1.1 per cent. Consequently, the minimum social wage for a non-qualified worker paid per month increased from €251.54 to €254.31, with the index value of 100 weighted for the cost of living as at 1 January 1948. The Omnibus Law of 8 April 2018,4 effective as of 15 April 2018, notably provides that an employer must guarantee full continuation of salary payments to employees who are unable to work because of illness. The Omnibus Law differentiates in particular between situations in which an employee who is unable to work because of illness (1) received his or her work schedule, in which case he or she will receive his or her salary as the employee would have if he or she had worked, and (2) did not receive his or her work schedule, in which case the employee will be paid a daily allowance, calculated on the basis of the last salaries received. Further, the Omnibus Law, by taking into account the case law of the Constitutional Court,5 amended Articles L124-6 and L124-7 of the Labour Code by introducing a new principle according to which an employee who resigned with immediate effect for gross misconduct of the employer is entitled to the same compensation as an employee whose dismissal with immediate effect has been declared abusive by the labour court, namely compensation in lieu of notice and, where applicable, severance pay. The Omnibus Law also amended Article L521-4 of the Labour Code, which allows the employee who resigned with immediate effect to be entitled to unemployment allowances. The Grand-Ducal Regulation of 18 July 20186 entered into force on 21 September 2018. In particular, this Regulation changed the conditions relating to the additional documentation that must be submitted with an application for a residence authorisation as an employed person. Indeed, the new legislation has facilitated the application procedure. The changes are also applicable to an application for a residence authorisation as a highly qualified worker, although no specific legislative change has occurred in that regard. On 1 August 2018, the index applicable to employees' wages was increased from 794.54 to 814.40. This increase resulted in a 2.5 per cent increase in the gross salary paid to employees with employment contracts subject to Luxembourg law. Wage indexation is an automatic mechanism for the adjustment of salaries to keep pace with evolving living costs, as determined by the statistics and economic studies office, STATEC. Thus, salaries are automatically increased each time the cost of living rises by at least 2.5 per cent. The aim of this measure is to compensate for a loss of purchasing power caused by inflation, by increasing the salaries of employees accordingly. Even though this adjustment to the wage index may seem to be surprising, given that the previous adjustment was on 1 January 2017, STATEC's growth expectations would suggest another adjustment before the end of 2019. The Law of 1 August 2018, creating a national representation of parents, entered into force on 24 September 2018. According to this new legislation, employees who are members of the national representation of parents of pupils in basic secondary and differentiated education in the Grand Duchy of Luxembourg are entitled to parental representation leave. More specifically, parents who are members of the national school board are entitled to leave amounting to two-and a half days per month and parents who are members of the national parents' representation are entitled to eight days' leave per year to carry out the obligations arising from their respective mandates. The Law of 1 August 2018 establishing a National Commission for Data Protection and the general regime on data protection (hereinafter the Law) entered into force on 20 August 2018. Through the Law, the Luxembourg legislator made use of the margin for manoeuvre granted by Article 88 of Regulation (EU) 2016/679 of the European Parliament and of the Council of 27 April 2016 (hereinafter the GDPR)7 to EU Members States to enact additional legislation relating to the protection of personal data in the employment context. In that respect, the Law amends Article L261-1 of the Labour Code regulating the monitoring of employees. in the context of a flexible work organisation. Furthermore, an employer wishing to set up a monitoring system at the workplace had to obtain the prior authorisation of the National Commission for Data Protection. The new layout of Article L261-1 of the Labour Code, as amended by the Law, no longer restricts the opening to legitimate processing of employees' personal data for the purpose of monitoring at the workplace. It now also states that an employer may process its employees' personal data for the purpose of monitoring, as long as that processing is carried out in compliance with the principles of the GDPR, in particular in accordance with the lawfulness grounds of Article 6 of the GDPR. In practice, most often, the monitoring would be justified by the legitimate interests of the employer. The Law of 1 August 2018,8 which entered into force on 21 September 2018, amended several dispositions with regard to immigration and the free movement of persons (hereinafter the Immigration Law). One of the main purposes of the Immigration Law is to transpose the EU Directive of 11 May 20169 into domestic law. This Directive constitutes a recasting of the existing Directives in this field10 and improves the legislative instruments applicable in these matters. One of the major innovations of the Immigration Law is the fact that students and researchers may continue to stay in Luxembourg for nine months after completing their studies or research activities, either to find a job or to set up a company. In this regard, a new category of residence permit has been created to allow young candidates to continue to reside in Luxembourg. In addition, students and researchers may move more easily during their stay between EU Member States. Further, the Immigration Law provides rules for trainees and volunteers within the European voluntary system who will benefit from harmonised conditions for entering the European Union and from better protection during their stay. The Law of 10 August 201811 amending the dispositions on prolonged illness (hereinafter the 2018 Law) entered into force on 1 September 2018. The 2018 Law introduced some legislative changes regarding the period during which the employee is entitled to receive full remuneration from the employer and from which point in time the National Health Fund (CNS) will take over. Under the former regime, if during any 12-month period an employee had been absent for 77 days, after the month during which the 77th absence occurred, the CNS started covering any sick leave the following month (with the 77 days verified on a monthly basis thereafter). The new legal provisions require that as of 1 January 2019, the 12-month reference period is increased to a 18-month reference period. Indeed, as from this date, during properly notified and certified absences for illness, employees are entitled to receive their full normal remuneration from their employer. This entitlement applies until the end of the calendar month in which the 77th calendar day of absence in a 18-month period falls. Another amendment applicable as from 1 January 2019 is an increase in the duration of employee illness management. Under the previous regime, if an employee was still absent after he or she had exhausted his or her entitlement to sick leave paid by the employer, the employee was entitled to receive a benefit from the CNS. This benefit was payable for up to 52 weeks for any period of 104 weeks. As from 1 January 2019, the benefit is payable for up to 78 weeks, instead of 52 weeks, for any period of 104 weeks. The third amendment introduced by the 2018 Law entails that an employee who gradually resumes work for therapeutic reasons will continue to be considered as an employee who is unable to work. Further to two Constitutional Court decisions dated 8 July 2016 (Nos. 123/16 and 124/16), by which the said Court stated that the same indemnities should be granted to employees in cases of abusive dismissal by the employer with immediate effect, as in the case of an employee resigning with immediate effect, which is justified on the grounds of severe misconduct by the employer, the Court of Appeal of Luxembourg had the opportunity to deeply analyse the scope of the resignation for gross misconduct. According to this case law, late and partial wage payments at irregular intervals, taking into consideration their repetitive nature, constitute a serious breach of the employer's obligations, justifying the employee's resignation with immediate effect. Damages claimed and awarded on the basis of Article L124-10 of the Labour Code require proof of the existence of hardship in connection with the termination of the employment relationship. This decision confirmed the above-mentioned Court of Appeal decision No. 44350 relating to the justified nature of resignation in the event of incomplete or late wage payments and further outlined the rights of the resigning employee to be entitled to unemployment allowances during the course of judicial proceedings. Further to the Omnibus Law, this decision implemented the new Article L521-4 of the Labour Code, whereby any jobseeker may request the allocation of unemployment allowances by provision in the event of dismissal for serious misconduct, resignation as a result of sexual harassment, or resignation for serious misconduct by the employer. In practice, employers tend to avoid court proceedings except if there is a matter of principle at stake. 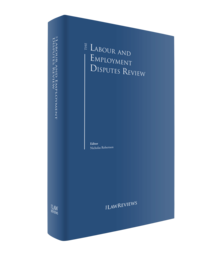 Hence many labour law cases are resolved by way of a settlement, in particular as a lawsuit may damage the reputation of both the employee and the employer, and sensitive information or sensitive incidents are likely to be debated in public hearings. In particular, in the event of dismissals, employers tend to favour settlements. Hence, we may expect more extrajudicial dispute resolutions during the next 12 months. Notwithstanding this general tendency to settle out of court, it is expected that there will be a rise in disputes concerning the recent legislative changes discussed, particularly in view of the social dialogue reform (since some provisions are expected to come into force after the next social elections scheduled for 12 March 2019) and the law on the organisation of working time. We expect notable case law on the indemnification of dismissed or laid-off delegates who opt for termination of the contract and compensation for damage caused, as well as on different new mechanisms for the organisation of working time. Otherwise, given the fact that Luxembourg is a stable country and where labour law is not over-regulated, no major upheavals are expected, either in procedure or litigation activity. 1 Philippe Schmit is a partner at Arendt & Medernach. 2 The Law of 15 December 2017 amending the Labour Code, the amended Law of 31 July 2006 introducing a Labour Code and the amended law of 12 February 1999 on the creation of parental leave and leave for family reasons. 4 The Law of 8 April 2018 amending the Labour Code, the amended Law of 24 December 1996 introducing an income tax bonus in the event of the recruitment of unemployed persons, and the amended Law of 12 September 2003 on disabled persons. 5 Constitutional Court, 8 July 2016, No. 00124. 6 Grand-Ducal Regulation of 18 July 2018 amending the Grand-Ducal Regulation of 5 September 2008 laying down the conditions and procedures for issuing a residence permit as an employed person. 7 Regulation (EU) 2016/679 of the European Parliament and of the Council of 27 April 2016 on the protection of natural persons with regard to the processing of personal data and the free movement of such data, and repealing Directive 95/46/EC. 8 Law of 1 August 2018 amending the amended law of 29 August 2008 on the free movement of persons and immigration and the law of 18 February 2013 on the reception of au pairs. 9 Directive 2016/801/EU of the European Parliament and of the Council of 11 May 2016 on the conditions of entry and residence of third-country nationals for the purposes of research, studies, training, voluntary service and pupil exchange programmes or educational and au pair work projects. 10 Council Directive 2004/114/EC of 13 December 2004 on the conditions of admission of third-country nationals for the purposes of studies, pupil exchange, unremunerated training or voluntary service and Council Directive 2005/71/EC of 12 October 2005 on a specific procedure for the admission of third-country nationals for the purposes of scientific research. 11 Law of 10 August 2018 amending the Labour Code, and the Social Security Code in terms of maintaining the employment contract and gradually resuming work in the event of prolonged incapacity.